Ivan as played by Nikolay Burlyaev. 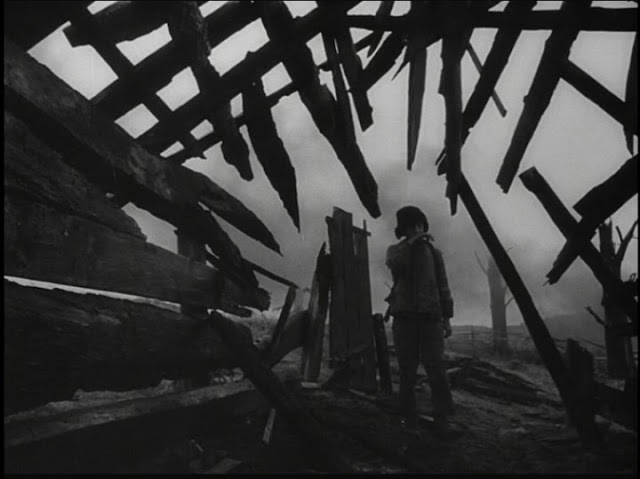 Andrei Tarkovsky is an original and unique artist who can never be accused of making films purely for entertainment. 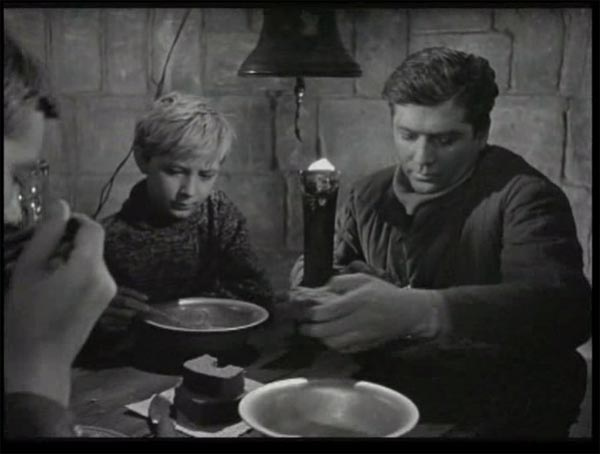 The Soviet directors debut full-length feature film was also my initial experience of this filmmaker, Ivan’s Childhood (1962) was the first film shown by Darren Conner at the RBC Film Club when it moved from Gracefield to the cinema proper. Contrasting a bright world of childhood reminiscences and the cruel, sombre reality of war, it caused a real sensation in World Cinema at the time of its release. Ingmar Bergman said of the film: "My discovery of Tarkovsky's first film was like a miracle. Suddenly, I found myself standing at the door of a room the keys of which had, until then, never been given to me. It was a room I had always wanted to enter and where he was moving freely and fully at ease. It was quite normal in wartime Russia for very young children to help out the war effort, not all children were sent away to the safety of the countryside like young evacuees in the UK, and many of those who survived where honored for their efforts. The film starts with a young boy, Ivan played by Nikolay Burlyaev, dreaming of peacetime and his mother, (Irma Raush, Tarkovsky wife) when the 12 year old awakes from his fantasies we find him in the middle of a war zone, crossing a vast swamp, carrying vital information for the Russian high command. Because of his size he is able to pass freely between enemy lines. The story unfolds highlighting the respect that the soldiers have for the young hero and how he is offered the chance to be sent away to military school but he insists on continuing his clandestine operations. Ivan is respected and excepted by his colleagues. 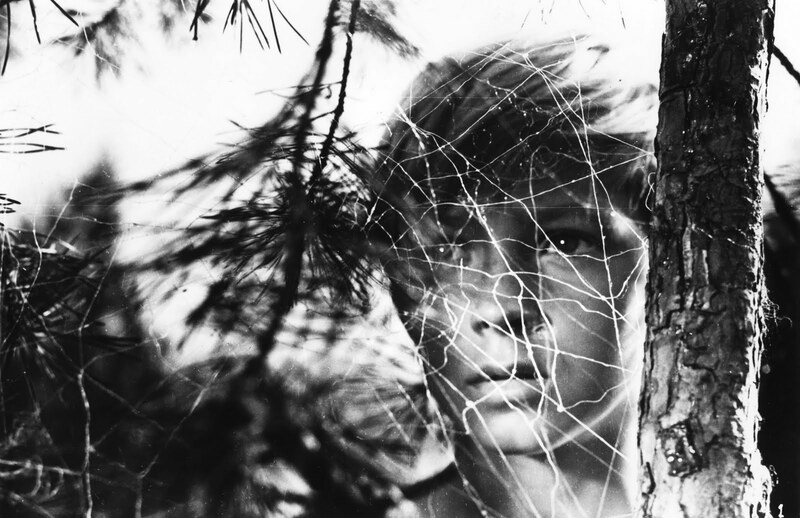 Ivan’s Childhood is a good place to start Tarkovsky’s small but important oeuvre, it comprises a more or less standard narrative plus flash backs and dream sequences. Tarkovsky’s was the second attempt to film Vladimir Bogomolov’s 1957 short story, originally it was directed by Eduard Abalov but was aborted because the Russian Arts Council deemed the work ‘unsatisfactory and unusable’. Offered to Tarkovsky in June 1961, with half the budget spent and a revamped script, he readily accepted. With this film he breathed new life into the conventional genre of World War 2 punctuating his young hero’s last days with dreams and dark premonitions, a film that say’s more about the hardships of war than a great many other movies with much larger budgets and technical gimmickry. An authentic and classic piece of work from this great director.